Life is a lot more enjoyable if you have the energy to do the things you want to do, maybe enjoying a visit from the grandchildren or having friends over. 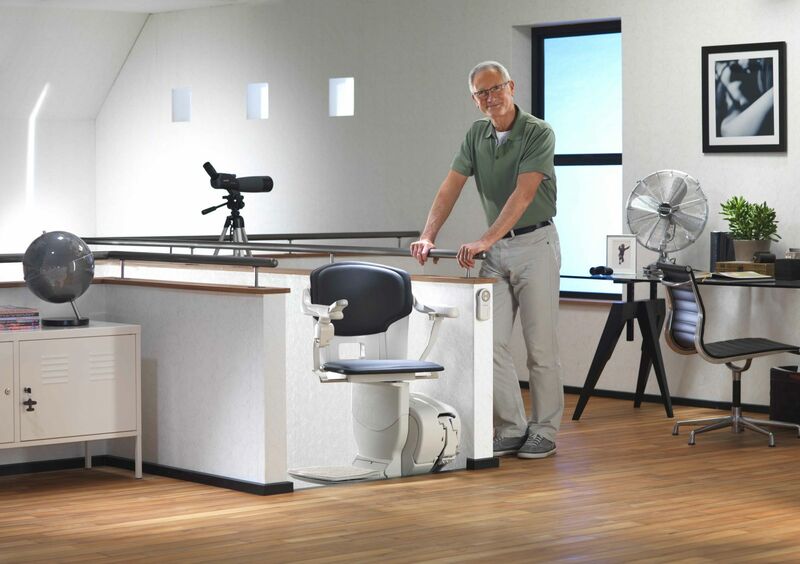 Over the years we have learned that the sooner a stairlift is installed, the sooner you will be able to start appreciating the things you love doing. So, just imagine how a stairlift could make your day-to-day life easier, safer and more enjoyable. We know that not all homes are the same. 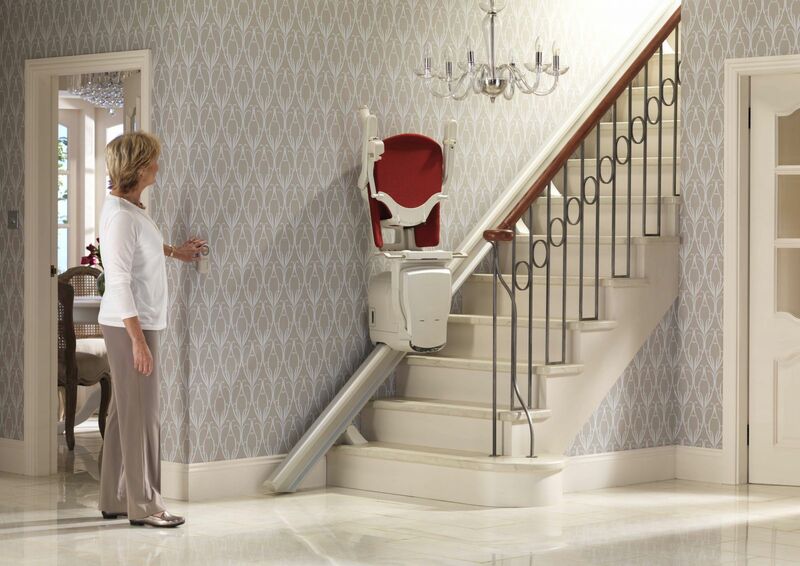 If you think your stairs are unsuitable for a stairlift, we believe you might be pleasantly surprised. Our slimline rail and one-step fold-away chair leave enough space for others to use the staircase and, contrary to belief, our rails are fitted to the staircase and not the wall. 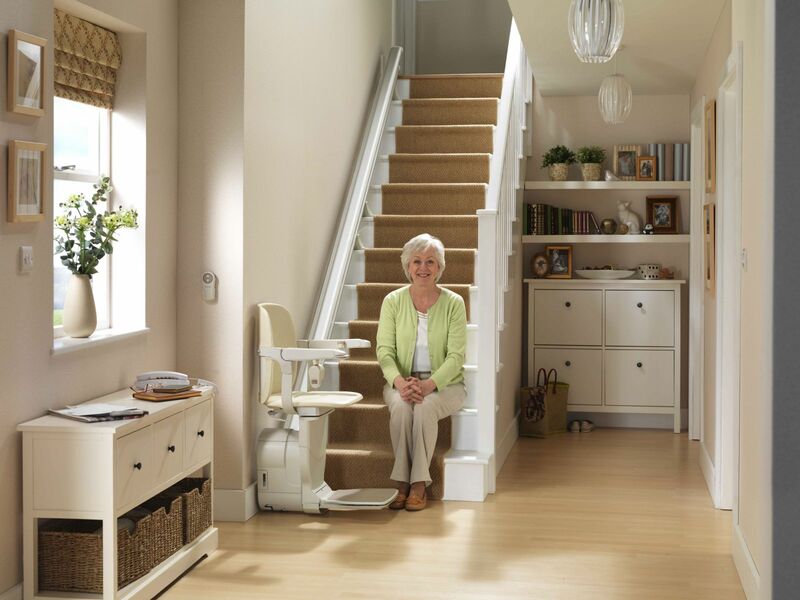 This ensures that when our friendly and professional engineers install your stairlift, it will be quick, easy and carried out with minimal fuss or bother. 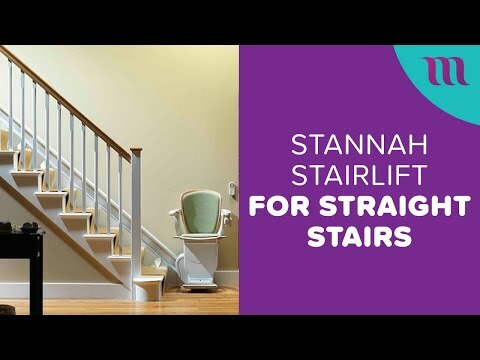 Bluesky Healthcare and Stannah believe that a stairlift should go beyond the functional to become a seamless part of your life. 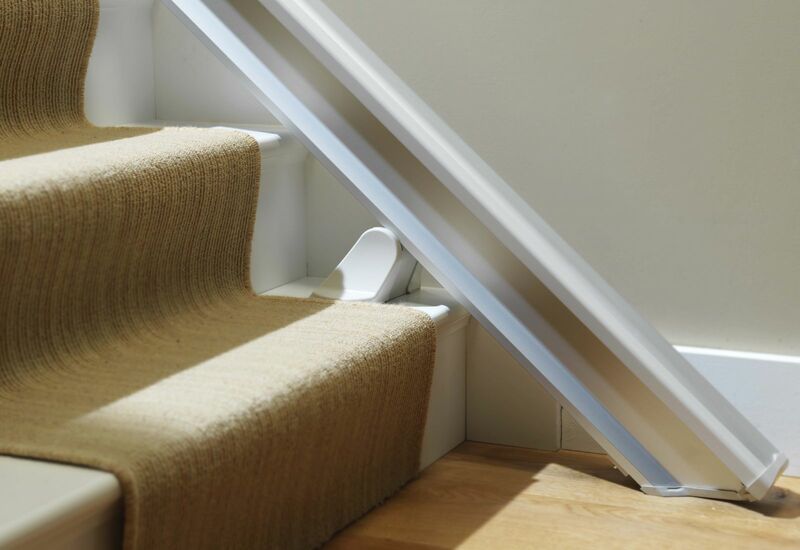 We interpret this by ensuring the stairlift is mounted snugly to your stairs, blends in perfectly with your existing décor has the right seat and functions for your needs and most importantly you are perfectly at ease with operating it. 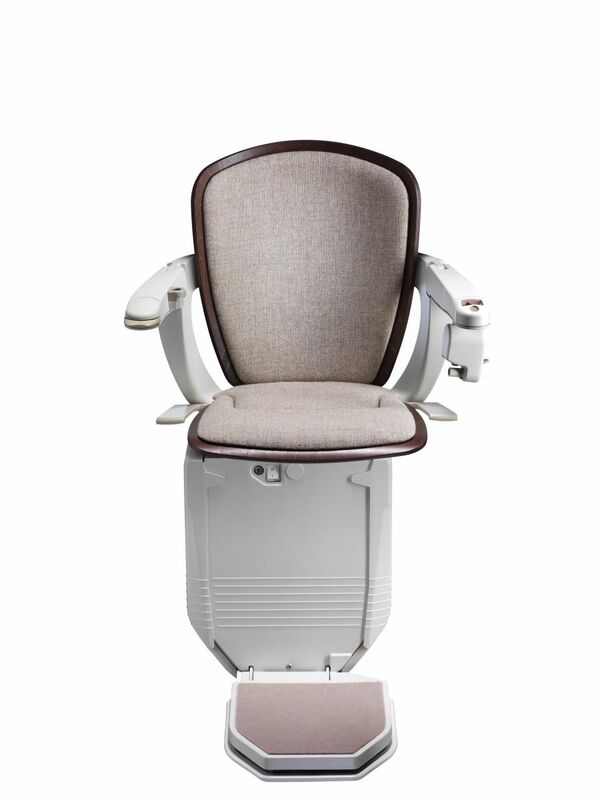 The Straight Chairlift is a perfect example of how many small elements come together to deliver an outstanding result. It’s sleek rail design is physically and visually unobstructed while the chair, and it’s unique flowing folding motion allows it to fold flat against the wall leaving ample room for other stair users. 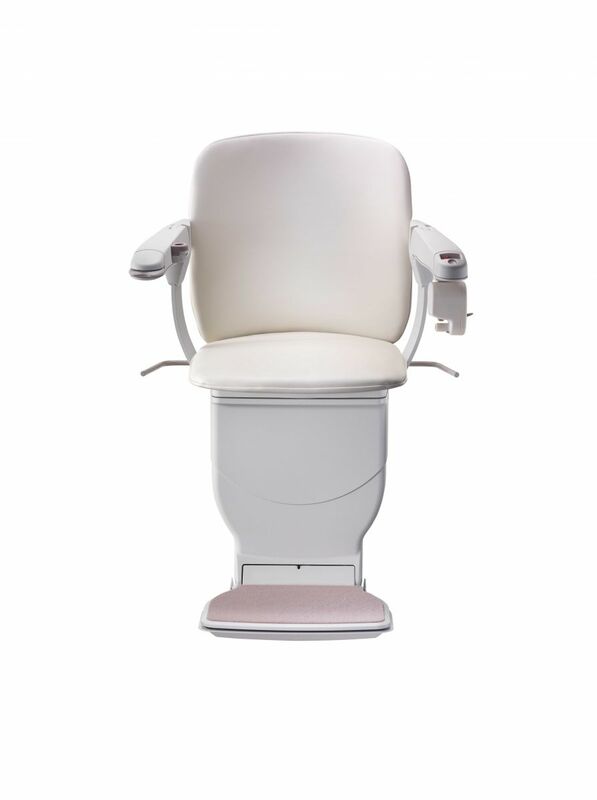 You can operate your stairlift with either the light touch controls in the armrest or with the handy remote controls. 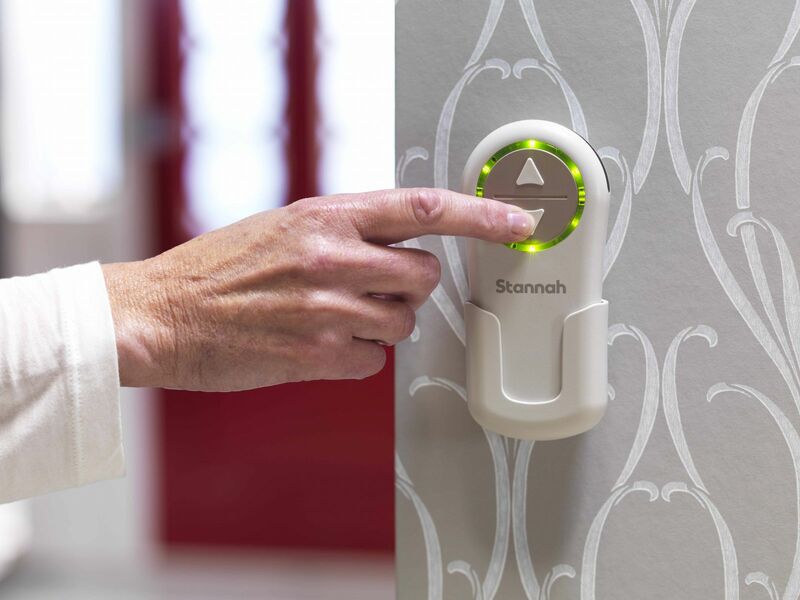 Which means you can call your stair lift, and it will automatically come to the top or bottom of the stairs. For stairs that are close to walkways or doors, a Retractable rail option is a perfect solution. 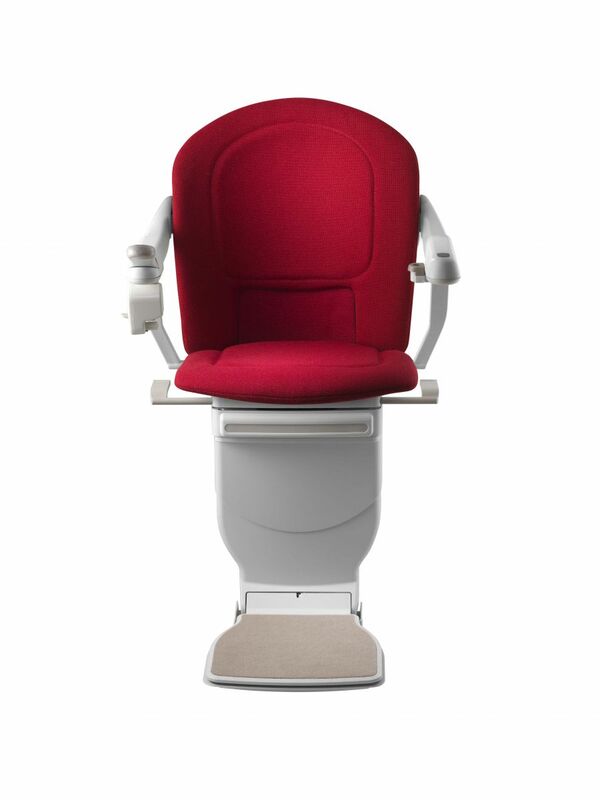 You can choose one of 4 Seats for your Stairlift. All Seats come in a selection of colours and features. We have put together a brief outline of each of them for you below. 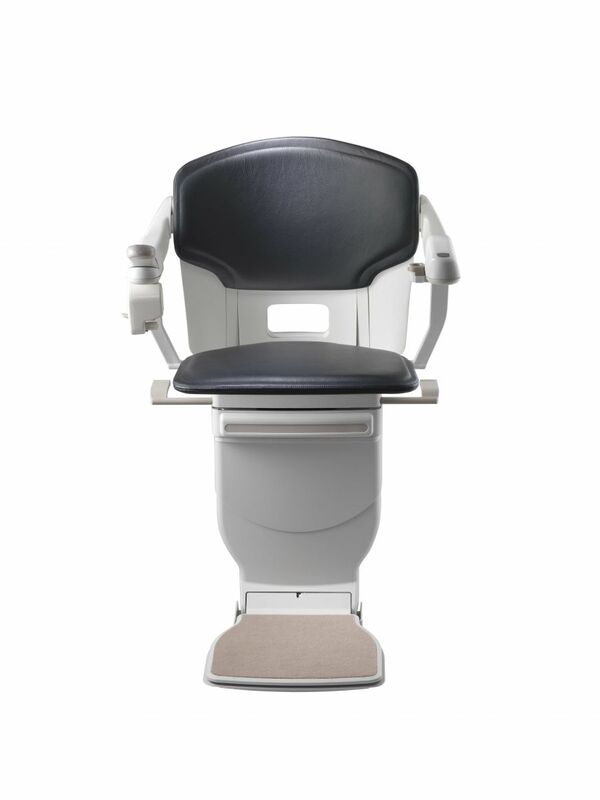 There is a lot of choices, but our Stairlift Specialist can easily consult with you on which chair and features would be best for you and your home. The ultimate in stairlift flexibility - that’s our Starla stairlift. 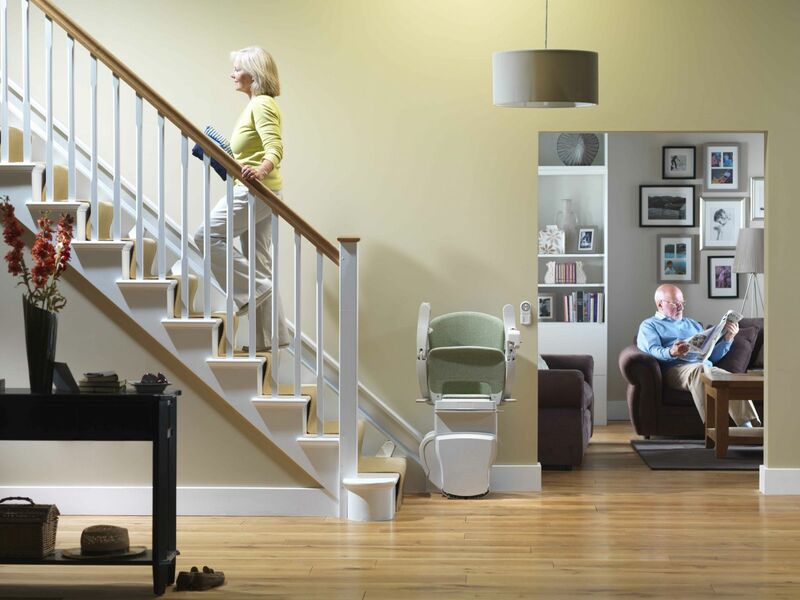 We have made the Starla incredibly adaptable to give you your perfect stairlift. Choose an elegant, all-vinyl or all-fabric chair or add a contemporary dark or light wood trim - it’s up to you. 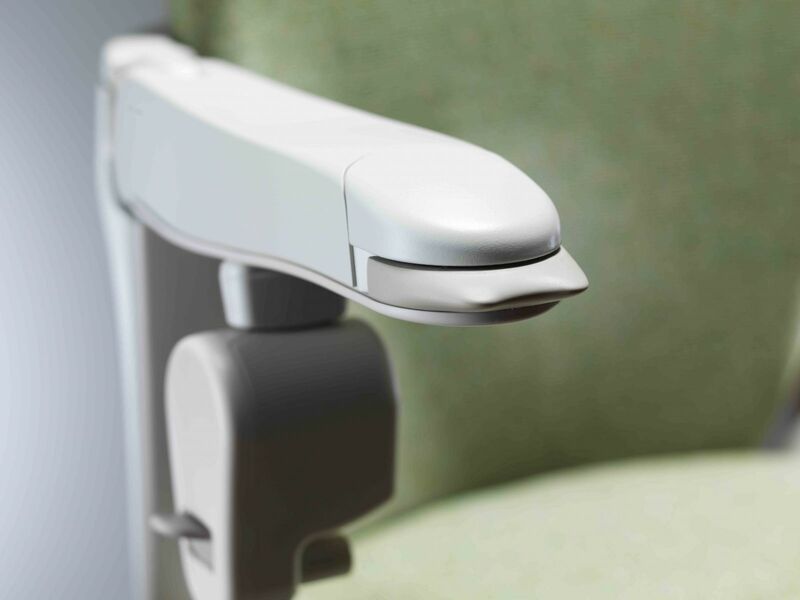 Settle into the comfortable and supportive seat, clip on your easy-to-use seatbelt, then nudge the controls to move gently up or down your stairs. The Sofia offers the classic blend of comfort and style. Along with its smooth and flowing contours, the deeply upholstered chair comes in a choice of fabrics, leathers and vinyls all of which look and feel inviting. The Sofia is easy and intuitive to use, too. Settle into the supportive seat, put on your easy-to-use seatbelt and move the controls to glide up or down your stairs – it’s that simple. With its smart looks and stylish seat in a choice of modern fabrics, leathers and vinyls, the Solus blends in beautifully with your home. It’s practical and straightforward to use, too. 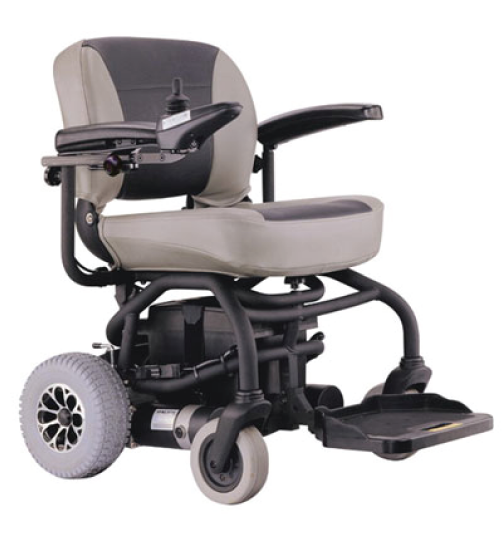 Just sit in the comfortable and supportive seat, put on your easy-to-use seatbelt and gently move the controls to glide up or down the stairs – nothing could be simpler. HELPING SENIOR AUSTRALIANS ENJOY A BETTER QUALITY OF LIFE.